Your childs bee-day party will be quite the buzz with this Bee Movie party theme. Our bee site is swarming with ideas and instructions that are as sweet as honey! If you need to get right to the shopping this site offers free shipping much of the time and has the best selection of Bee supplies that we have found online. Just search for Bees.Celebrate Express bee costumes and bean bags. If you choose our theme of Bee Movie Night, Birthday in a Box has the movie night party themed accessories. For a bee pinata and crazy costumes Pinata.com is the place to go. Now that you have decided upon a Bee Movie party, the next step is to get the word out. You will want to include: who, what, where and when. To create homemade Bee Movie party invitations, follow the step by step instructions below, in a printable pdf form. We have included several options for you to choose from. You can copy exactly or add your own creative touches. You can also go with the movie party theme and use a movie ticket stub for an invitation. Here is a printable ticket for your party. If you have chosen a Bee Movie party, you may not bee-lieve the many cake decorating choices you have that will surely have your guests making a bee-line to the desert table. Just go to our Bee Cake Bee Cakes page for lots of options. Make your Bee Movie beverage just as cool as the rest of your party! Party theme cups are always a splash. You can also use solid yellow or black ones instead and decorate them with bee stickers. Just for fun, try our recipe for flower ice. 4 Fun Parites has Bee Movie party theme cups, plates, napkins and party goods for a good price. Just search for bees. If serving in a punch bowl, you can make a flower ice ring using a jello mold bowl or bundt cake pan. Fill half full and freeze, then add flowers and fill full. Freeze. Drop into punch bowl when ready to serve. Again, make sure no guests eat the flowers! Punch can also be served in a large leak proof flower bucket or in a honey jar. A stuffed bee or other bee party themed item can be placed near the container to add even more of a buzz. 1) Fill several ice trays half full of water and freeze until solid. 2) Place small real or artificial flowers in each section, add more water and freeze until solid again. 3) Take out just before serving. Make sure your party guests are old enough to understand the flowers are not to be consumed! Add a special punch to your party with our favorite recipe from the bee keeperâ€™s association. 1) In a blender, combine orange juice concentrate and bananas; cover and process until smooth. 2) Pour into a large bowl; add the pineapple juice, water, honey, sugar and soft drink mix. Stir until sugar is dissolved. 3) Pour into two 2-qt. freezer containers. Cover and freeze until mixture is slushy. 4) To serve, transfer each portion of fruit slush to a large pitcher. Add 2 liters of soda to each pitcher; stir to blend. Yield: 7-1/2 gallons (30 1-cup servings). For a honey of a party, Bee Movie party theme snack ideas include an assortment ofâ€¦you guessed it, things made with honey. For all the great snack ideas check out The Bee Movie Snacks. 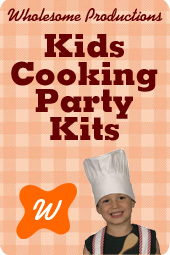 Make your childâ€™s Bee Movie party theme one that will be remembered for years to come. Decorations set the mood. Create a buzz by using yellow and black wherever you can, table covers, dishes, balloons, etc. The Bee banner can really bring the party theme together. Nothing is as fun and festive as balloons. Try tying black curly ribbons to yellow balloons and yellow ribbon to black balloons. Helium balloons fascinate children and can float singly or bunched together. Bee party theme balloons are also available. Balloons on the floor are fun as well. Watch the kids entertain themselves with the kicking and lifting the balloons throughout the entire party! Decorate tables wherever you can. Use for snacks, drinks, the cake, and one for presents. If your party is at the park, set aside a picnic table or two to decorate or bring a card table. Most amusement facilities have tables as well. Bee Movie party theme table covers can be purchased or you can make your own. To make your own, use yellow or black sheets, fabric or even shower curtains. Place bee party themed items on the tables such as stuffed bees, honey jars, pots of flowers (real or artificial), anything bee related. You can even search the garden section in local stores for related selections. A Bee Movie Pinata is sure to Bee a hit! A pinata not only adds festivity to the dÃ©cor, itâ€™s tons of fun for the children to play later. Some come prefilled or fill your own with snacks such as Bit Oâ€™Honey candies and Honey Nut Cheerios Milk Nâ€™ Cereal bars. Crate paper steamers in black and yellow and curly ribbons can be hung from the ceiling. Include an occasional bee as well such as one from our the craft section below or purchase a lightweight bee perfect for hanging. Now that you have plenty of un-bee-lievably easy and fun ideas to decorate your childâ€™s Bee Movie party theme , you can get buzzing. Donâ€™t forget to include your child in the decorating process and above allâ€¦have fun!!! We have so many birthday crafts and games we had to move them. Our Bee birthday games will have them buzzing all day. Kids love treat bags. The children will definitely bee delighted with Bee Movie party theme goody bags made using these creative and cost-cutting ideas. Bee Movie stickers, blowers, and squirt ring can be found at 4FunParties.com. Bee Movie party theme treat bags are inexpensive and convenient. Fill with goodies from the suggestions below and tie with a yellow or black curly ribbon or twist tie. You can also create your own by using black and/or yellow sacks. Fill with treats and tie black sacks with yellow ribbon and yellow sacks with black. Bee stickers or stamp images can be added. For a real creative touch, For a real creative touch, fill Bee Movie party theme hats. Or make your own hats by creating stripes by winding black electrical tape around the yellow hats and yellow around the black. Make stripes by winding black electrical tape around the yellow hats and yellow around the black. Other container options include yellow or black plastic cups, flower pots, yellow or black buckets decorated with a bee sticker or small black plastic baskets lined with yellow tissue or paper shreddings. If desired, wrap with clear or yellow tinted cellophane wrap and tie with coordinating curly ribbon. Fill the container of your choice with fun goodies that are age appropriate. Candies such as Bit Oâ€™Honey pieces or honey suckers are great as are honey nut cheerios milk nâ€™ honey bars. Bee party themed toys make great party favors like: bee squirter rings, small bee bouncing balls, butterfly and bee bracelets, bee pads of paper, mini bee stamps with ink pads, bee erasers and glass bees just to name a few. You can also include yellow and black unfilled balloons, pencils or markers, etc. Donâ€™t feel like you have to stick with bee party theme items, small jars or play dough or miniature rolls of clay are great as is silly putty. Small cars make nice gifts for boys and hair ties or scented lip gloss for girls. All children love a small set of jacks with a ball or marbles. Bee party themed books and coloring books are fun as well. Whatever treat ensemble you come up with is sure to bee wonderful so enjoy! Be sure you choose age appropriate items. From tots to tweens and in betweens, children love costumes. Bee Movie costumes are available in all shapes and sizes.There are mini bee suits, perfect for the toddler birthday boy or girl. Baby bee suits accommodate even the youngest bee fan.You too can be a bee. Imagine the faces of the guests as they see the â€œmother beeâ€ all dressed up. How about a wearing a wig with an antenna or high heel bee shoes? Bee fingernails will make you look sharp too. Or, go all out and get an adult bee suit! Older childrenâ€™s costumes are available as well. Consider having one to use during game time. The child who is â€œitâ€ gets to wears the bee costume. There are bee costumes for boys such as the transformer bee and there are bee costumes just for girls as well. Accessories are fun too, like bee antennas, yellow and black striped leggings and even shoes. But costumes are not limited to people. Dog bee suits include fido in the fun. Your pet will be the dog-gone buzz of the party with one of these adorable outfits. Bee Movie outfits are fantastic memory makers that the children will remember for years to come. They are offered at un-bee-table prices and even make great costumes for future Halloweens. See this store for this adorable bee costume. Click on a picture below to go to the store that carries that costume. For more costumes try this store. Add a twist to your Bee Movie theme party by making it a movie night. Along with showing the Bee Movie dvd, serve up some hot buttered popcorn and fountain drinks. Dish out some movie theater candy as well. Movie Night party supplies like invitations, napkins, cups, paper plates and all the trimmings will set the mood for your movie night. Find movie night party themed decorations at Birthday in a Box. To keep the Bee Movie theme as well, mix and match both Bee Movie and Movie Night decorations. It is important to thank your guests for attending the party as well as for any gift they may have given. Be sure to involve the birthday child as it is a good character building experience. Bee Movie thank you cards may be purchased ready to fill out. Custom ordered thank you cards and photo thank you cards are available as well. You can also make a homemade Bee Movie thank you card. We have two original printable thank you cards for you to download right here. Another creative option is to make thank you cookie treat bags to pass out as your guests leave. Directions are just below. Bee Movie confetti and Bee Movie stickers and stampings are fun to add as well as photo and theme postage stamps. You can even include a photo of the birthday boy or girl opening presents! Whichever project you choose to thank your guests, it will surely bee a sweet gesture to those who made the party possible. Start by baking the cookies of your choice. Bee Movie party theme cookies can be made by using our basic sugar cookie dough recipe and cutting into shapes with bee cookie cutters. You can also opt to draw a bee onto the cookie. When the cookies are baked, decorated and cooled, place several into Ziploc or fold top baggies. Close the top. Cut heavy stock paper or construction paper to fit across the baggie and fold over. You can use white, yellow or black. On one side of the flap, write or stamp the words â€œThank Youâ€. Decorate using stickers, bee stamp or you can even draw your own bee or honey pot. Fold the decorated paper over the top of the baggie and staple at the bottom. If desired, you can add curly ribbons inside the baggie with the cookies or yellow or black tissue. This not only adds color, it helps keep them from crumbling. Pass the cookie bags out as your guests leave and donâ€™t forget to verbally thank them as well.